We all know that carpet gets dirty. Even if you diligently take off your shoes at the door or strictly keep all food and beverage in the kitchen, eventually your carpet is going to get dirty. 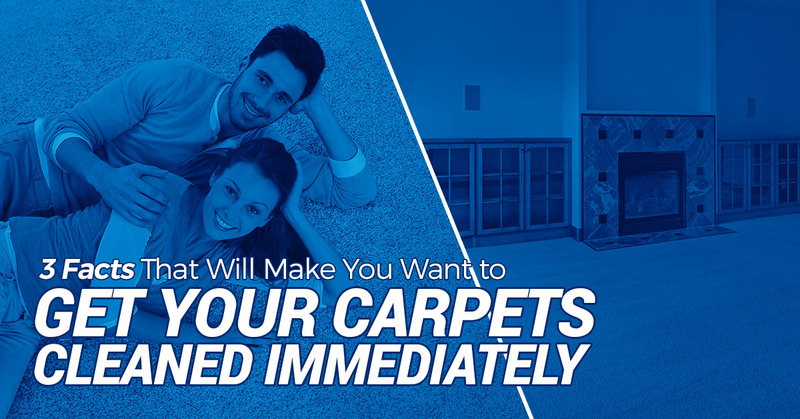 The more people in your home, the more pets, and the more activity, are all going to lead to your carpeting getting dirtier, faster. Dirt and dust can blow in from open windows and through your air vents, pets and people can track in dirt on their feet, and even dust from our knick knacks can find its way into our carpet. As bad as that might be, that dirt is really the least of your worries when it comes to what’s hiding in your carpet. There can be a lot more sinister stuff hiding in your carpet fibers. Check out some of the stomach-turning facts about what’s in your carpet. …can attract several pounds of dirt a year? If you thought a little bit of dirt was bad, then the reality of how much dirt is in your carpets is going to shock you. Your carpets can actually accumulate several pounds of dirt in its fibers each year. So the longer you own your carpet, the more it’s actually going to weigh over time, and it’s all thanks to the dirt and dust that’s hiding deep down inside. Even more bad news, a lot of that dirt is actually dead skin flakes coming off your body and the bodies of your family, friends, and pets. It’s enough to make you not want to walk barefoot on your carpets ever again. …can keep the Norovirus alive for more than a month? Norovirus is a nasty virus that causes the stomach flu. Next time you come down with the bug, you might have your carpeting to thank for it. That’s because a study found that the virus could survive in carpets for a month or longer. That’s a long time to have a virus living in your carpets that, according to the CDC, causes about 20 million illnesses and around 1000 deaths every year. …can infect food with bacteria immediately? We all know the five-second rule when it comes to dropping food on the carpet. Turns out, that five seconds might not be doing you any good. If a virus like Norovirus can happily live in your carpet, so can bacteria. Studies have shown that nasty stuff like Salmonella and Campylobacter can adhere to the food you drop on your carpet immediately. It doesn’t even need five seconds to transfer. These bacteria can cause illnesses in both humans and pets that involves vomiting and diarrhea. Once you hear all this, you are probably ready to tear out every inch of carpeting in your home. It’s true that for some people who have compromised immune systems or live with medical conditions like asthma, carpeting often isn’t the best choice for their home. However, the rest of the population can live with carpeting in their home happily by taking a few precautions. Vacuum regularly. Vacuuming thoroughly at least once a week (or more often if you have pets or children in your home) will prevent dirt, skin cells, and other nasty bits from accumulating in your carpeting. Take your shoes off at the door. This will prevent dirt and bacteria from being tracked into your home. It will also help prevent dirt from being driven deeper into the fibers of your carpet, too. Get carpets professionally cleaned. Having carpets professionally cleaned every 12 to 18 months will prevent nasty bacteria and dirt build-up from happening. It can extend the life of your carpeting, too, making it less expensive to maintain over time! Want to Make Sure Your Carpet is Really Clean? We can help. Our carpet cleaning team in Casper is ready to get your carpets deep-down clean, eliminating stains and all the nasty stuff you can’t see, too. You’ll end up with carpets that look and feel like new and are safe for you and your family to enjoy. 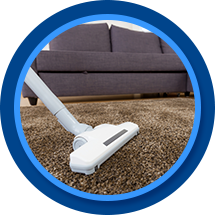 Contact us and we’ll give you a free quote on our carpet cleaning services. Call us or contact us through our website today.